When you think of a travel app, you would expect it to be blessed with features that are easy to use on-the-go. But sadly, not many travel apps are able to cater this experience to their end users. 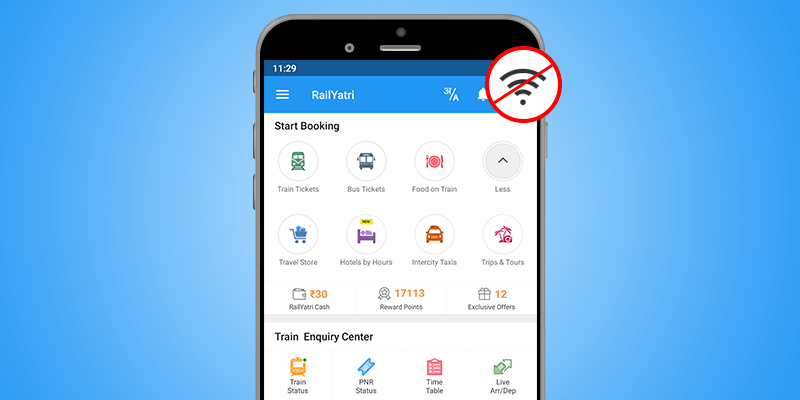 So, we at RailYatri thought about this pain point and our experts came up with a unique flow that helps you use the app in a hassle free manner from wherever and whenever you want to. 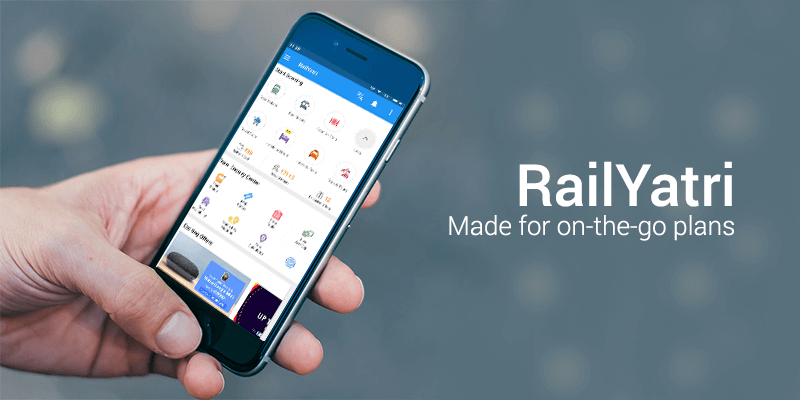 Having made such a bold statement, the onus is really upon us to prove that RailYatri is indeed the best on-the-go travel app. And at the end of this blog you would believe that we have created something marvelous just for your sake. We understand that the cradle-like motion of a moving train, or the jerky movement of a bus or cab might not be the best allies to surf and use an app. That was our first challenge. We believed from the on-set that our app needs to counter such movements. So, our design experts spent hours deliberating upon the app flow. What we have today is the simplest of app flows in the industry. It comes with broad buttons and two step flows; you can access the important features of the app perfectly even when there is so much movement around. Remember, all those app permissions you allowed us during the app install process? They were all meant for giving you better in-app experience. Through those permissions, our data experts can access your important travel data from the phone memory. And what do we do with that? 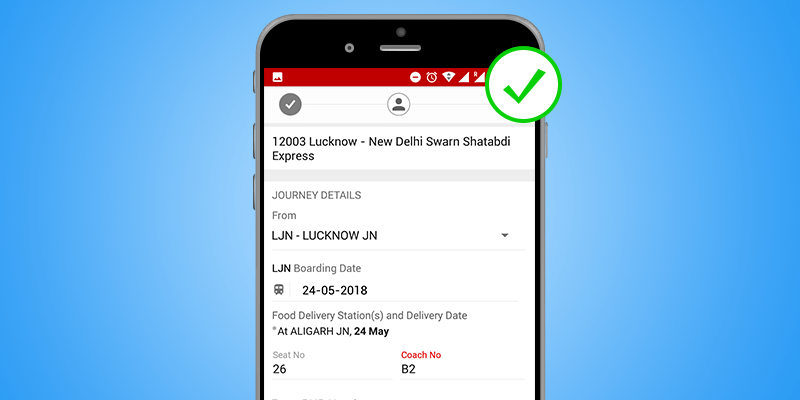 Our auto-detection mechanism, gives you relief from filling up those lengthy forms mentioning your pertinent travel details (such as train, coach and berth number) while using any of our travel services (ordering food on train, booking cabs for onward journey, etc.). We fetch all these pertinent information and pass it forward to the concerned department once the order has been placed. #3: Offline? Not a problem! Leisure travels are meant to beat the hustle and bustle of your daily city life. But when you visit a remote hill station or a coastal town, you never know when your Internet connection might fail you. This is why, we made it a point to store your pertinent travel information for the offline version as well. Though you might not be able to access all the features, but can easily access your trip information. Now, that is what you need! What happens when your packed food goes stale? If your train ticket does not get confirmed at the point of journey? Or, you need some relaxation in the middle of a long break journey? You need to have a contingency plan, right? And RailYatri gives you that. We have covered all these scenarios; from booking food on train to booking bus tickets or cab and of course arranging for a list of short stays near railway stations. So, if you have to change plans on-the-go just a few taps on the RailYatri app and your journey is back on course! 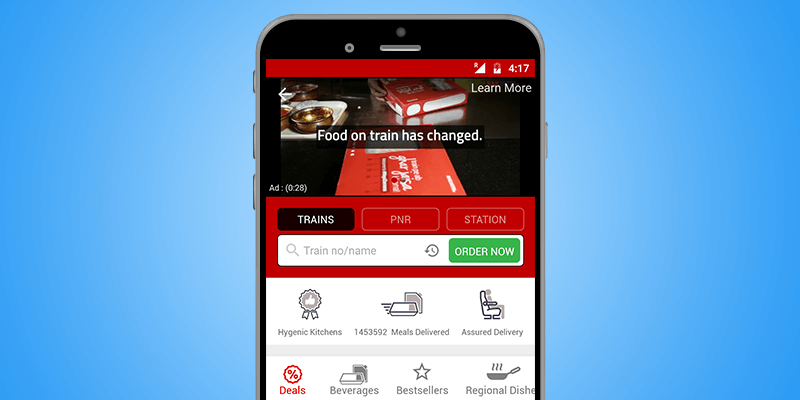 Now, that you know always keep tapping away at the RailYatri app before and during your journeys. Let us cater memorable travel experiences! 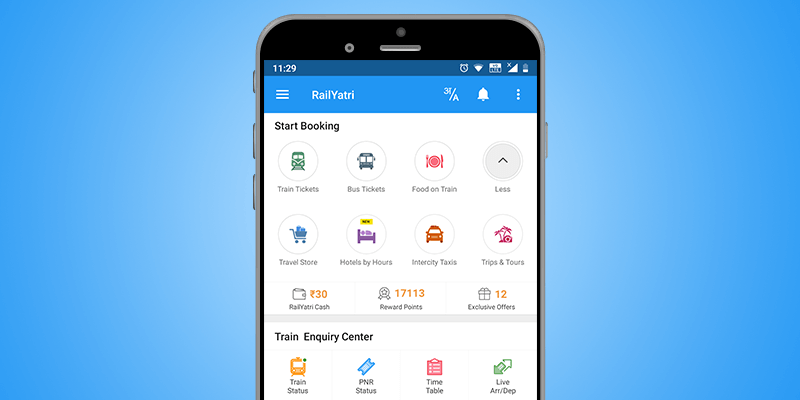 Download the RailYatri travel app from Google Playstore or Android app store. Previous article10 Train ticket transfer rules you never knew before! Next articleGet 100% Refund on Ticket Cancellations with RY Cancellation Cover!